A look at the four Klamath dams slated for removal. The Karuk and Yurok tribes have both put the federal government on notice that they intend to sue, alleging the feds have violated the Endangered Species Act by failing to ensure adequate water flows for Coho salmon on the Klamath River. 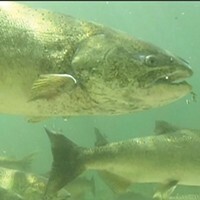 Citing a disease infection rate of 90 percent for juvenile salmon last year, spurred by low flows and warm water temperatures, coupled with historically low salmon run projections, the tribes said they felt they had to act. Of course, in addition to fights over water rights in a watershed where the federal government has simply promised more water than exists, water quality problems on the Klamath River are greatly exacerbated by four hydroelectric dams that clog the lower river, block fish passage, raise water temperatures and spur algal blooms. 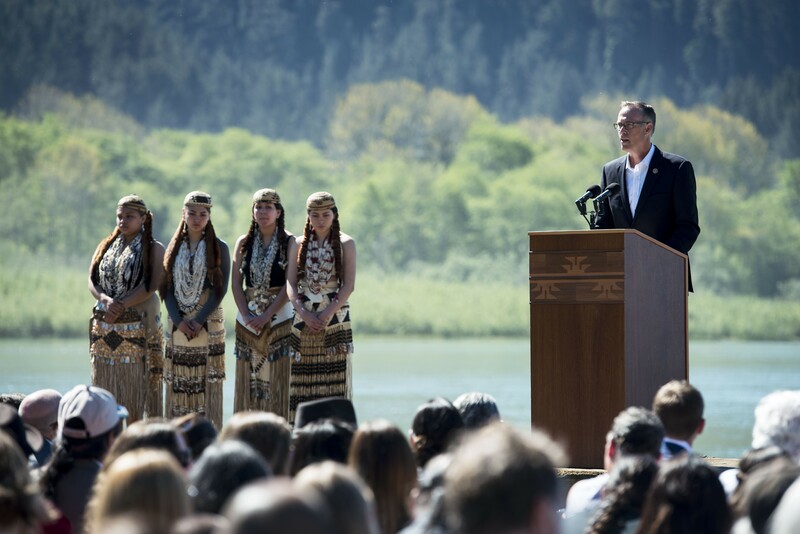 A host of local, state and federal officials stood on the banks of the Klamath near Requa earlier this year to celebrate the signing of a new accord that is planned to result in the removal of those dams in 2020. 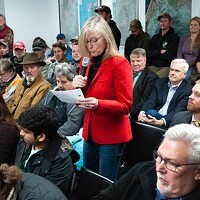 During the ceremony, Klamath and Yurok leaders pledged to work together with the federal government, upper basin irrigators and ranchers to come to a water sharing agreement that is hoped to avoid this type of litigation in the future. That pledge remains, according to Karuk Chair Russell “Buster” Attebery. North Coast Congressman Jared Huffman, shortly before the signing of an agreement to remove four hydroelectric dams along the Klamath River. The tribes are hoping the federal agencies will work with them to develop a Klamath management plan that includes the release of pulse flows — large, fast releases of water downriver from the dams — that the tribes hope will disrupt the lifecycle of the disease parasite by moving gravel, scouring the river channel and flushing algae and polychaetes downriver. For more on the historic Klamath dam removal pact and the path forward for the river, see the Journal’s recent cover story here. And for more on the tribes’ threat of litigation, find the press releases below. 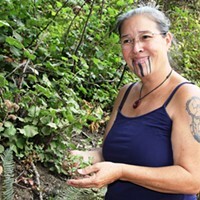 Happy Camp, CA – Citing a disease infection rate of 90% of sampled juvenile salmon in 2015, today the Karuk Tribe presented the National Marine Fisheries Service (NMFS) and the Bureau of Reclamation (BOR) with a 60 day notice of intent to sue over violations of the Endangered Species Act. In 2014 and 2015, the incredibly high rates of infection by the disease causing parasite Ceratonova nova (until recently described as Ceratomyxa shasta) were due in part to low flows and warm water temperatures brought on by the drought. The Biological Opinion (BiOp) is written such that infection rates greater than 49% are not allowable. The BiOp states, “…If the percent of C. Shasta infections for Chinook salmon juveniles in the mainstem Klamath River between Shasta River and Trinity River during May to July exceed these levels (i.e., 54 percent infection via histology or 49 percent infection via QPCR), reinitiation of formal consultation will be necessary.” See page 391, http://www.fws.gov/klamathfallsfwo/news/2013%20BO/2013-Final-Klamath-Project-BO.pdf).